The advent of cloud technology has spawned many companies providing a slice of their data centers’ processing power for a fee. You can find several ad campaigns selling cloud solutions. Sometimes, it can be difficult for small business owners to keep themselves updated. 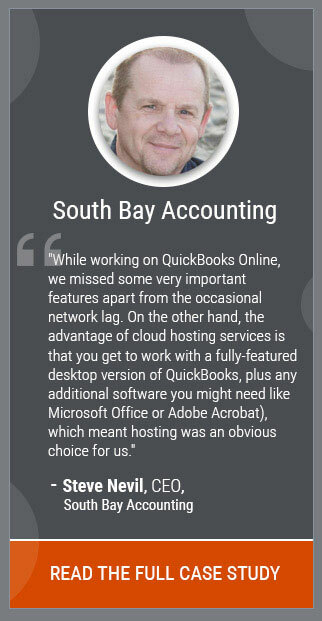 If the decision of hosting your QuickBooks leaves you feeling confused, you’re not alone. Ready or not, your company will certainly be affected by the cloud technology and understanding all your possibilities is half the battle won. Which QuickBooks hosting provider you choose can essentially influence the performance of your business. Thus, it’s important to go for an experienced cloud provider. Below are the top seven reasons why Ace Cloud Hosting can be your first choice for QuickBooks Desktop hosting. One of the major concerns which many firms express when it comes to cloud technology is the issue of security. After all, if the data and files aren’t safe on site, how can one know that they are secure on the cloud? If a user can access the data from anywhere, then what’s stopping the cyber-thieves from doing the same. Ace Cloud Hosting understands such concerns and ensures that your QuickBooks data is safe and protected. For one thing, it is our full-time job to monitor security carefully. And the key to this high security is the 256-bit data-encryption that enables the data to be transmitted in a coded form over different networks and stored in databases. This encryption makes it difficult for hackers to access the data. As an additional security measure, we also set different security settings for different users. Moreover, we deploy other security practices such as multi-factor authentication, Intrusion Detection and Prevention Systems (IDS & IPS), enterprise-grade firewalls, among others. As more users and clients collaborate on QuickBooks software, greater is the requirement for watertight control of data. When different users are working on the same QuickBooks file, they have to send files back and forth as email attachments and only one user is able to work on the file at a time. Sooner or later – mostly sooner – you would end up with a mess of incompatible file format or content. According to a study conducted by Vanson Bourne, a market research company, many factors are driving the adoption of cloud technology. 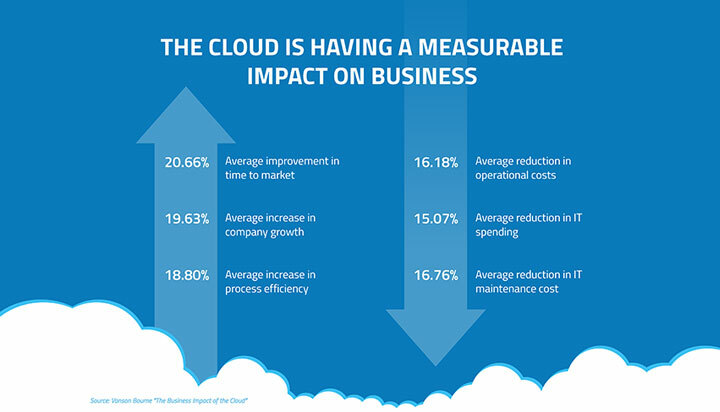 Firms that moved their service to the cloud experienced a 20.66% average improvement in time to market, 15.07% reduction in their IT spending and 18.80% average increase in efficiency of processes. When you move your QuickBooks to Ace Cloud Hosting’s cloud server, all the data and files are stored centrally, and all the users or clients see one version of the truth. As users can work remotely through our cloud solution, they can access, edit, upload, download or share content at any time. With better visibility, you get an improved collaboration, which means better work and a stronger bottom line. If your firm is still relying on traditional methods, it can be time to try something more streamlined. Support is another parameter which needs careful consideration when choosing a QuickBooks hosting provider. While some companies provide support through chat or email, others may offer you a dedicated resource. It is always advised to select a QuickBooks hosting provider which provides round-the-clock support to its clients. In case you get stuck, it’s nice to have a friendly and experienced support team to fall back onto. With Ace Cloud Hosting, you get a well-trained and experienced support team which is available 24/7/365 to help with issues that may occur while hosting your QuickBooks on the cloud. To check the quality of services we offer, you can check reviews by our clients on Serchen and Facebook. 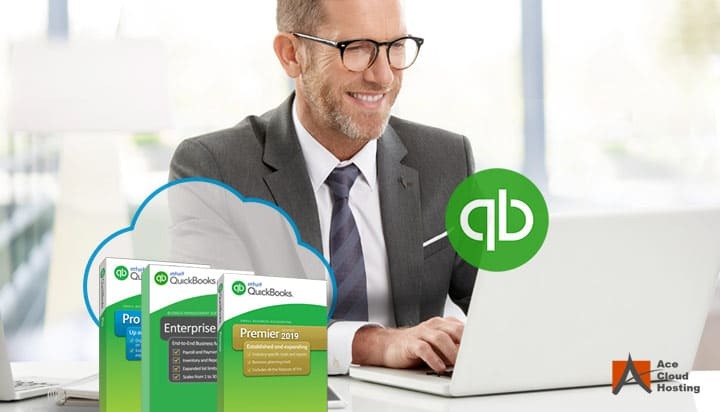 An Intuit Authorized QuickBooks hosting provider means that a company is legally authorized by Intuit to host its QuickBooks desktop software. Intuit examines the capabilities of a cloud provider thoroughly to make sure that QuickBooks desktop is hosted in a friendly and secure environment. If hosting QuickBooks is on your mind, then an Intuit Authorized cloud provider must be your top priority. We are an Intuit Authorized QuickBooks hosting provider and also a QuickBooks Solutions Provider. While hosting your QuickBooks with Ace Cloud Hosting, you get many added benefits such as easy upgrades, quick access to Intuit technical support and software license management. When your QuickBooks is hosted with Ace Cloud Hosting, you don’t need to spend a huge amount of revenue on buying and maintaining equipment. This drastically reduces capital expenditure (CAPEX). Your firm does not need to invest in facilities, hardware, or infrastructure for your business growth. You don’t even need a large IT team to handle your operations, as you can enjoy the expertise of our staff. We also provide a transparent pricing model with no hidden costs. You will get charged according to the number of users and the type of application you want to host. 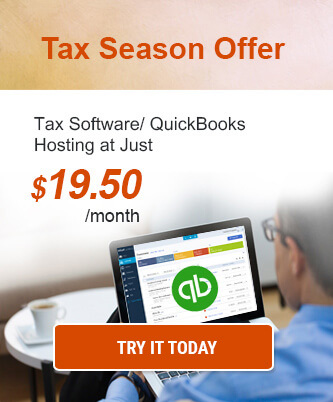 You can check QuickBooks hosting pricing here. Having total accessibility of your data is one of the factors which contributes to business success. Unfortunately, irrespective of how in control your business is, there would always be a few things that are completely out of your control. Even a small downtime can have a negative effect on your business. In addition to this, we implement Business Continuity and Disaster Recovery (BCDR) plans that ensure assessment of risks and the ability to recover data even in times of a disaster. Not all firms will move their QuickBooks to the cloud, at least not yet. However, firms which have adopted cloud technology experience that many benefits offered by it positively impact their business operations. Hosting your QuickBooks with Ace Cloud Hosting helps you gain a competitive advantage as the time you need for IT procurement is almost nil. Your firm can deploy a key business application without upfront costs and minimum provisioning time. Hosting your QuickBooks with us not only helps you focus on your important business activities but also reduces the time required to market new applications or services. If you have any suggestions or queries related to our QuickBooks hosting services, you can post in the comments section below.